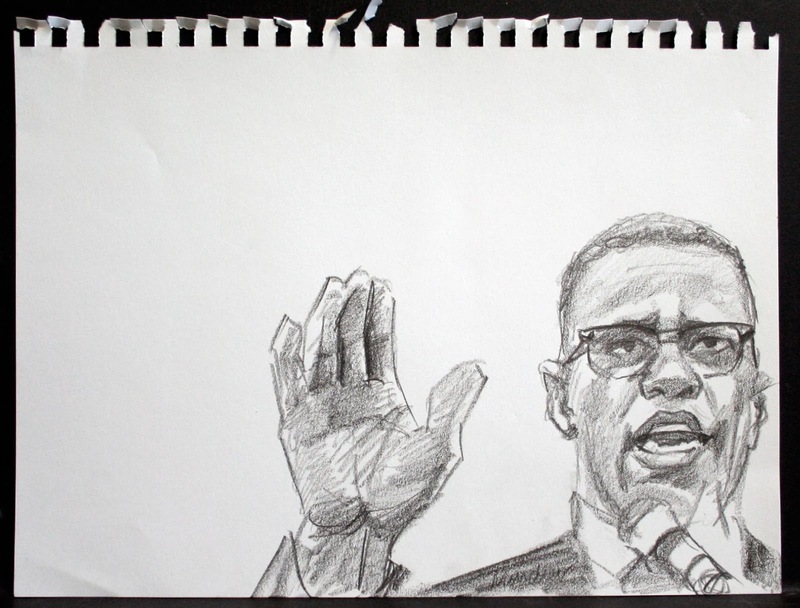 Kenney Mencher: A Drawing of Malcolm X.
I've been asking people to send me pictures of celebrities and heroes that they would like to see me draw so I did this one. So I grew up this sort of semi-privileged white intellectual kid in the Bronx during the 1970s. The weird thing was that I never heard about Malcolm X. until around 1989. And I think that was only because there was a movie with Denzel starring him as Malcolm. It's funny because when I did hear about Malcolm X was always about this by any means necessary thing and that he was a very violent person. It wasn't until a couple of years later that I actually watch the movie Malcolm X. And honestly I haven't done much research on Malcolm X. One of my students who I really respect a lot is a Facebook friend with me and I give him a ride home every day after class and he happens to be Muslim. Nice Muslim boys always remind me of nice Jewish boys. So that just goes to show you that any kind of racism my parents tried to put in me got mislaid somehow. Anyway this kid is totally charming and a totally moral person. So he posted picture Malcolm X. on my wall. 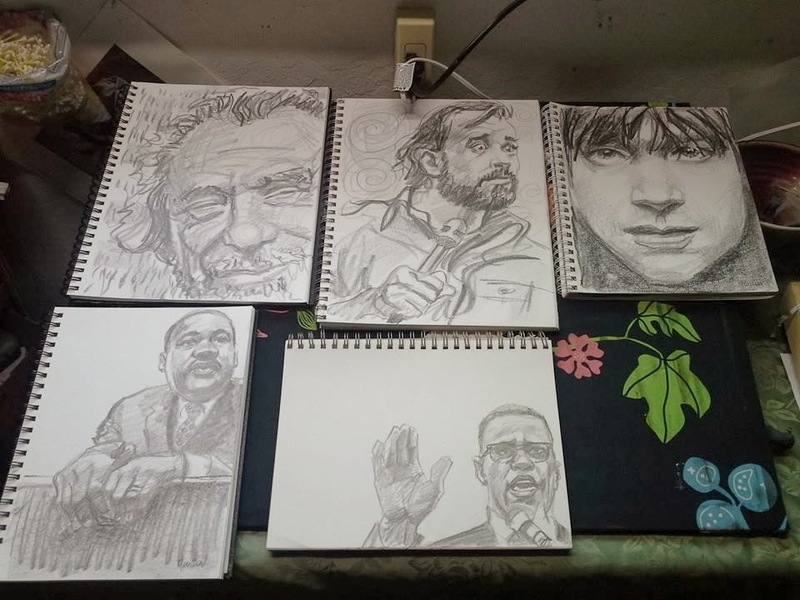 And as I was drawing him it forced me to think about my relationship to that student and also what I learned about Malcolm X. in the movies. You know if half the stuff in the movies was accurate I really think he was a great man.